Love was critical in the thinking of Martin Luther King, Jr., and it relates directly to the importance of community. Agape is love seeking to preserve and create community. It is insistence on community even when one seeks to break it. . . .Agape is a willingness to go to any length to restore community. It doesn’t stop at the first mile, but it goes the second mile to restore community. It is a willingness to forgive, not seven times, but seventy times seven to restore community. The cross is the eternal expression of the length to which God will go in order to restore broken community. The resurrection is a symbol of God’s triumph over all the forces that seek to block community. The Holy Spirit is the continuing community creating reality that moves through history. He who works against community is working against the whole of creation. Therefore, if I respond to hate with a reciprocal hate I do nothing but intensify the cleavage in broken community. I can only close the gap in broken community by meeting hate with love. If I meet hate with hate, I become depersonalized, because creation is so designed that my personality can only be fulfilled in the context of community. A key phrase surfaces often in King and writings about him—”beloved community.” He did not coin the phrase; it surfaced earlier in the 20th century through philosopher-theologian Josiah Royce, who founded the Fellowship of Reconciliation. King, a member of the fellowship, “popularized the term and invested it with a deeper meaning which has captured the imagination of people of goodwill all over the world,” according to The King Center. 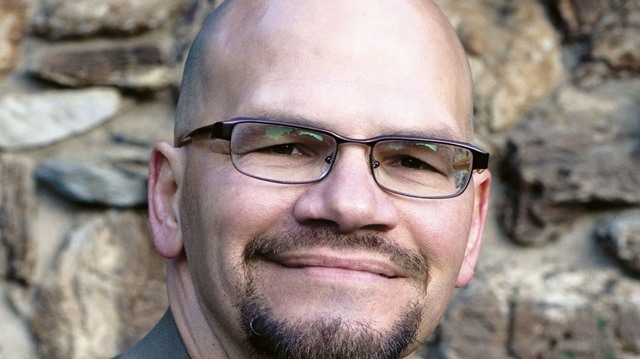 Christian author Tim Muehlhoff says believers need to “yield to God’s power from outside” themselves in order to communicate in a civil, Christlike manner. Christianity Today has published a Q&A with Muehlhoffregarding his book, I Beg to Differ: Navigating Difficult Conversations with Truth and Love (InterVarsity Press, 2014). Muehlhoff says that “in the heat of the moment” of a conversation a Christian should remember the advice of A.W. Tozer. ”You shall receive power, a potent force from another world invading your life by your consent, getting to the roots of your life and transforming you into someone like Christ.” Muehlhoff says the discipline to yield to God’s power from outside “needs to be in place before the conflict actually happens,” and that comes through practice. That is the second of seven “Elements of Satisfaction” listed by John and Peter. So, is it true? Someone dear to me has had an experience in the past few days that has struck fear in her heart. She lives in an urban setting and walks about four blocks to work. Recently, a man began to seek out encounters with her along the streets. He is possibly homeless and possibly mentally impaired. Thursday, he followed her home and gained entrance to her “secure” apartment building when another resident let him in–a surveillance camera confirmed the means of entry. I will not give all of the details about what happened, but the man gained entrance the next day as well. This young lady has been unhurt to this point, but the intruder has engaged in some gross and threatening behavior. The police have investigated, sort of, but said they can’t do anything unless the man touches the woman. She is frightened and angry, and all she can seemingly do is wait to be attacked physically. Her home is no longer safe and secure; it is, in some sense, no longer home. Regarding connection with neighbors, this young woman does know a few people by name–she’s friendly and gregarious. But obviously there is a lot of disconnection among residents of the apartment complex because twice residents have allowed this stranger to gain entrance because he or she obviously thought the stranger was a resident, as well. McKnight and Block’s call to connection takes on new urgency in this one particular situation. Lives and well-being are at stake. Community and neighborliness can seem rather quaint when talked about in a book. It becomes very real, alive, uplifting and dangerous in the real world. While our safety and security are “largely within our domain,” they are not completely. I think the authors understand this, and thus the “largely” becomes a very important word. “First, we see the abundance that we have–individually, as neighbors, and in this place of ours. “Second, we know that the power of what we have grows from creating new connections and relationships among and between what we have. Two words jumped out at me as I read this–“we have.” This book is not about something we do not have but need to acquire; it’s about what we have. That may not seem like a biggie, but so much of what we encounter today through advertising, self-help advice, and even church is about what we need but do not have. The simplicity of the notion that we have what we need seems powerfully freeing. And while we may have what we need, I like the notion that this is something we’re going to have to work for. That squares with our experience of life. And then John and Peter pick up the notion of citizenship about which I didn’t get good notes during the conference. I look forward to hearing more about these notions of citizenship. “… [S]trong communities are vital, productive, and important. And above all they are necessary because of the inherent limits of all institutions. I want to be part of something that is vital, productive, and important. I want to have a decent, good, satisfied life. I do experience all of this in many ways now but look forward to seeing how John and Peter open new possibilities for us. I definitely have entered a new world — the coffee culture. I feel it most in a Starbucks. I’ve been twice since taking up coffee. It’s like entering a foreign culture where the people speak a different language and know how to navigate the crazy traffic. There are cappuccinos, Frappuccinos, lattes, espressos, regular coffee, Guatemalan coffee, and Lord knows what else. And that’s just the drinks. It’s mind-numbing. When I enter a store I don’t know where to go or what to order. Yesterday, I picked the first thing on the menu. “A tall Pike Place Roast,” I say, like I know what I’m doing. The guy is nice, doesn’t condescend to my obvious coffee illiteracy. He points to a nearby counter with two pots–one a non-fat and one a half-and-half. I don’t know what the latter is so, I choose non-fat. But nothing will pour out. A young lady is waiting. I loosen the lid; still nothing. I take it off and solve my problem. I explain to the guy behind the counter that I just started drinking last year on a trip to Guatemala. But he doesn’t give me one, so I figure he forgot. I take a seat, and in a few minutes he brings me half a cup of Guatemalan coffee. It’s good, but I’m not discerning enough yet to tell much difference. Everyone else who comes into the place seems to be known by the workers. I started talking to a guy sitting nearby who is studying for his GRE test. Turns out he actually works there and has hung around to study. He wants to do graduate study in Hebrew–impressive. The Starbucks culture reminds me of the old “Cheers” TV show where “everyone knows your name.” I don’t go to bars, so I could really like this coffee hangout thing. The coffee culture is a form of community that transcends systems and institutions. It can be found in virtually every business, in many churches and just about anyplace where you can find people. 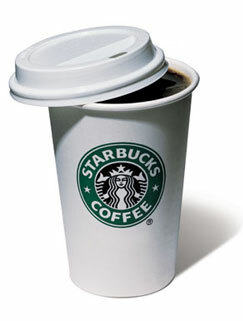 The Starbucks culture seems to be a community that has arisen within an institution. The business made it possible, but the culture is more than the commodity-for-money transaction. And, of course, my Louisiana friends have already made it clear to me that the best brew is Community Coffee–possibly aptly named. I don’t begin to understand much about this coffee culture yet, but I find it immensely interesting and inviting. 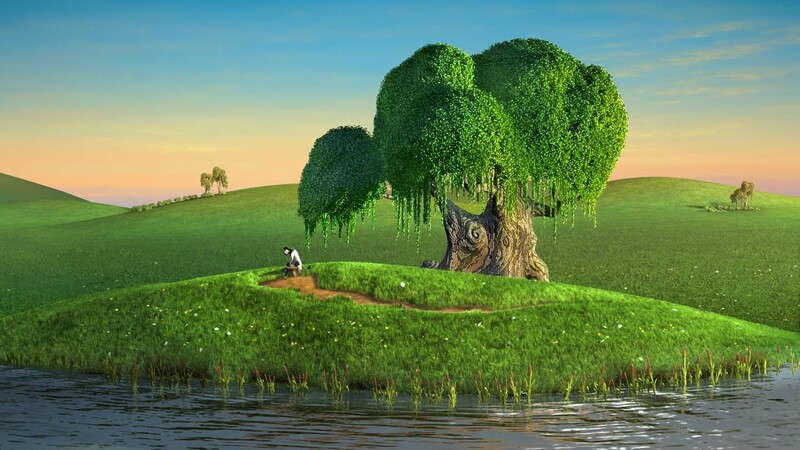 From "Barnyard: The Original Party Animals"
My house sits on top of a hill, in the middle of a meadow, with plenty of sky above. When we moved into it 10 years ago, we could not see another single house when the trees had their leaves and only parts of one or two when the leaves fell to the ground. Now, we can see two houses well and parts of others, but they are all at least a half-mile away. Cottonwood community is not your typical American neighborhood. It’s obviously rural, and everyone has a good bit of space–measured in acres, not square feet. This community was, however, once quite typical for a small rural one. There was a school and a church, lots of houses scattered here and there, and plenty of kids to help with the work and to grab some time for play on occasion. World War II and its aftermath pretty much emptied the place. First the boys went off to war. Then the girls went to Dallas to work. Then boys came home, married the girls and mostly stayed in the city to work while the girls raised the next generation. My mom and dad fit that pattern, but they were surely not alone. The school had disappeared before the war because the nearby Eustace schools could do the job more efficiently. Then, sometime in the 1960s, the church ceased to meet and the man who owned the adjacent land sort of gobbled up the vacant structure and returned it to a pastoral scene. Now, people are slowly moving back in. Some of us are the offspring of the earlier residents, and some are new. We make a pretty nice community, but I suspect it’s rather different from the one before World War II. I don’t think there are as many kids, and those around spend most of there days miles away at school. As for we adults, I’m not the only one who drives more than 60 miles one way to work. The money is still in Dallas. But we do like it in the country. While we’re still called Cottonwood, I’m not sure how much of a community we are, at least at this point. One couple gathered us all together one evening a while back, and that was really nice. But the reason for the gathering was for us to keep a better watch over each other because some thievery had come to the area. It was, however, a start, a good start. But then the good man who pulled us together up and died an untimely death. 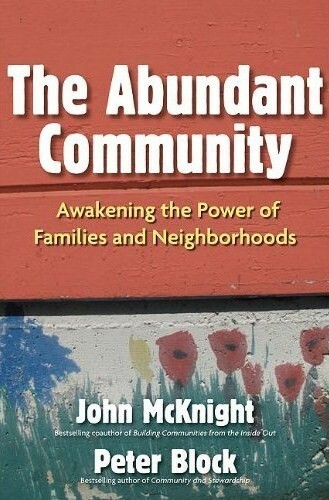 I just started reading The Abundant Community: Awakening the Power of Families and Neighborhoods, by John McKnight and Peter Block. One thing I’ve picked up already is that if the community I live in is really going to be a community, I have to help make it happen. I have to become a neighbor. We will see.